I had the most interesting and invigorating time at the Sharjah international Book festival which was held in Sharjah from 6th to to 21st November 2013. Quite a few writers attended and conducted talks for the public. 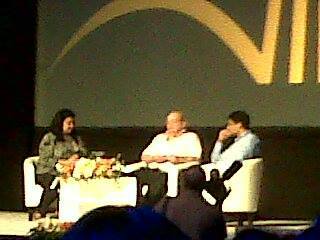 I was fortunate to attend the talks of Jeffery Archer, the Sudanese/Egyptian Writer Leila aboulela and our very own Ruskin Bond. Each of the sessions was inspiring giving us good insight into the world of writers and writing. Sir Jeffery Archer’s talks were pepped with lot of humor. He said that his failed attempt at business made him write his first book “Not a penny less and not a penny More.” He spoke about how his book "Kane and able" wasn't an instant bestseller as claimed now. He narrated a humorous tale of how he was sent by his agents to U.S.A to market his book. He was made to attend three famous talk shows to promote his books but was ignored by the host of the first two talk shows and given a time of just few minutes which the host himself took up. Fortunately, the host of the third talk show had read his book and hence praised the book which then went on to become a best seller! He spoke about writing being hard work and mentioned his strict writing routine, which begins in the morning wherein he writes for two hours, takes a break and then writes for another two hours repeating the same throughout. to be always driven, so at the age of 70 he started the first of the “Clifton Chronicles” and the fifth book of which will be completed by 2020 and he mentioned he hopes God keeps him alive till then. 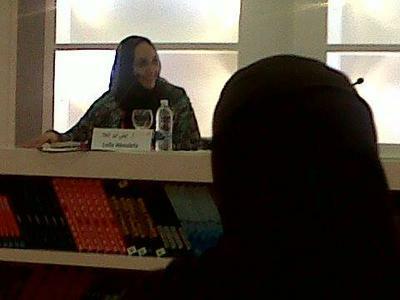 Leila Abouleila is a Sudanese/ Egyptian author who writes in English. She was brought up in Sudan, was sent to an American school and later did her graduation from London. After Marriage, she moved to Abeerdeen, where faced with plenty of time and dealing with homesickness, she started writing. Her books are centered on Sudanese and Egyptians and deal with issues like the life of the Migrants - the struggles,loneliness homesickness they face when they move to a new country for a better life. Leila Abouleila spoke about her new book “The Lyrics Alley “which is based on the life of her Uncle,who faced the tragedy of being paralyzed young in life and who then went on to become a famous poet in Egypt. 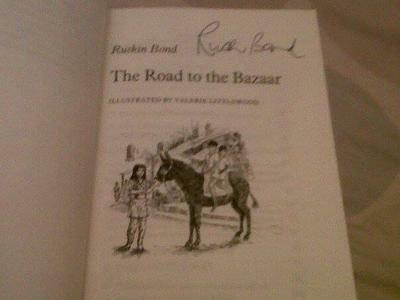 Seeing Ruskin bond was a happy occasion for me as I love his books. He spoke about his love for nature and writing and said even in today’s time, if children are put in more nature surroundings they will enjoy them contrary to the belief that Children are not in tune with the nature. He said being Old has an advantage in that he has more rich storage of memories to draw from for his writing. Ruskin bonds new book “Little Book on Life” was also released on the same day.